If Narendra Modi is the most powerful Prime Minister that India has had since Rajiv Gandhi or Indira Gandhi, S Jaishankar, the man he has just brought in as Foreign Secretary, will be the most powerful diplomat the Ministry of External Affairs (MEA) has seen in decades. Jaishankar, who was until yesterday India’s Ambassador to the United States, brings to the office of the Foreign Secretary not just vast experience in dealing with three world powers – the US, China and Russia – and fierce competence, but also an ability to relate to Modi in ways that the Foreign Ministry’s traditional bureaucracy has so far failed to do. What makes his hand even stronger than that of his illustrious predecessors – Shivshankar Menon, Shyam Saran, JN Dixit, Muchkund Dubey, Salman Haider, MK Rasgotra and RD Sathe – is the Prime Minister’s style of dealing directly with key bureaucrats, bypassing their own ministerial bosses in the process. Despite her seniority and experience as a politician and administrator, Sushma Swaraj is arguably the least empowered External Affairs Minister since Bali Ram Bhagat headed the MEA way back in the 1980s. While the weight of the Prime Minister’s Office (PMO) in foreign policy decision-making has steadily increased since Atal Bihari Vajpayee’s days, never before has the Foreign Minister been so marginalized. Her confidence shaken, she has given no interviews as External Affairs Minister and agreed only to very limited interaction with Delhi’s legion of diplomatic correspondents. When a reporter asked her for a soundbite soon after a Pakistani court granted bail to Lashkar terrorist Zaki-ur-Rahman Lakhvi, Sushma baulked, saying the Prime Minister would react first. Most importantly, Sushma is not a member of the Appointments Committee of the Cabinet and thus was not even party to Jaishankar’s appointment. The tersely-worded order ending the run of the incumbent, Sujatha Singh, when she still had seven months to go bore the imprimatur of just Modi and Home Minister Rajnath Singh. In terms of rules, the “curtailment of tenure” announced on Wednesday night is entirely the government’s (ie Modi’s) prerogative. It was only as recently as 2010 that the government decided to add the Foreign Secretary to the list of key officials – Defence Secretary, Home Secretary, and the heads of the Intelligence Bureau and the Research & Analysis Wing – who would be eligible for a two-year term regardless of when they turned 60 and thus retired from the civil service. Inherent in the rule is the government’s power to shorten this tenure at will if it feels the “public interest” is served by doing so. While Singh has done nothing on which she can be faulted, she has become a casualty of Modi’s highly- personalised style of functioning. Key policy approaches to different countries — eg. Nepal, Japan and the US, which he has visited – have been worked out by Modi directly after one-on-one meetings with the Indian ambassadors to those countries and key bureaucrats. Sushma Swaraj and the Foreign Secretary were brought into the picture much later. Sometimes, important decisions like the cancellation of talks with Pakistan were taken by Modi on the spur of the moment, without consulting even the envoy concerned. Ironically, Modi’s relations with Sujatha Singh soured almost from day one when he received negative feedback from Pakistan about the ‘hawkish’ way she had answered questions about his meeting with Prime Minister Nawaz Sharif. Soon after, instructions were reportedly sent that Singh should no longer field questions in press conferences and leave that task to the desk officers concerned. MEA insiders say this was unfair, and that in the absence of clear instructions from Modi, Singh had no option but to stick to India’s official position in responding to questions on terrorism even if this meant discomfiting Nawaz somewhat. According to PMO officials, the PM was impressed by Jaishankar’s handling of his US visit last year, including the Madison Square Garden event where he delegated the organising to him after spelling out the broad parameters. 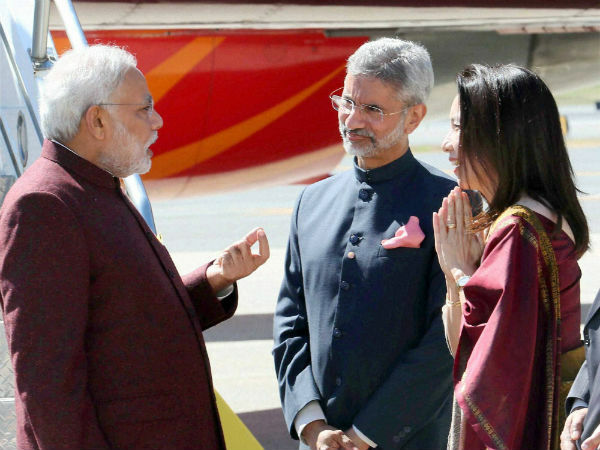 Indian diplomats present during that visit say Jaishankar’s rapport with Modi was obvious. Where MEA officials in Delhi found themselves snubbed when they tried to offer the PM advice, Jaishankar reportedly struck a chord. 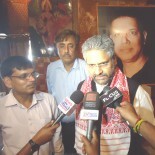 His apparent suggestion that Modi not use phrases like “Make in India” and “Asian Century” while in America, since both had a negative connotation in the US, is said to have been welcomed by the Prime Minister. Because of this personal connect, Jaishankar’s appointment will help Modi move his foreign policy from the management of bilateral visits – which is essentially what it has been so far — to a broader strategic plane. In Manmohan Singh’s time, that role was played by Shivshankar Menon, first as Foreign Secretary and then as National Security Adviser. Ajit Doval may be Modi’s NSA now, but it is his lack of foreign policy experience and his inability to move beyond the ‘tactical’ that had created a void which Jaishankar will now fill. His inclusion in Modi’s team is good news for Modi, and for India. It is a pity that the only way the Prime Minister found to bring him on board was to render an injustice to Sujatha Singh. This entry was posted on January 29, 2015 by Siddharth Varadarajan in Indian Foreign Policy.